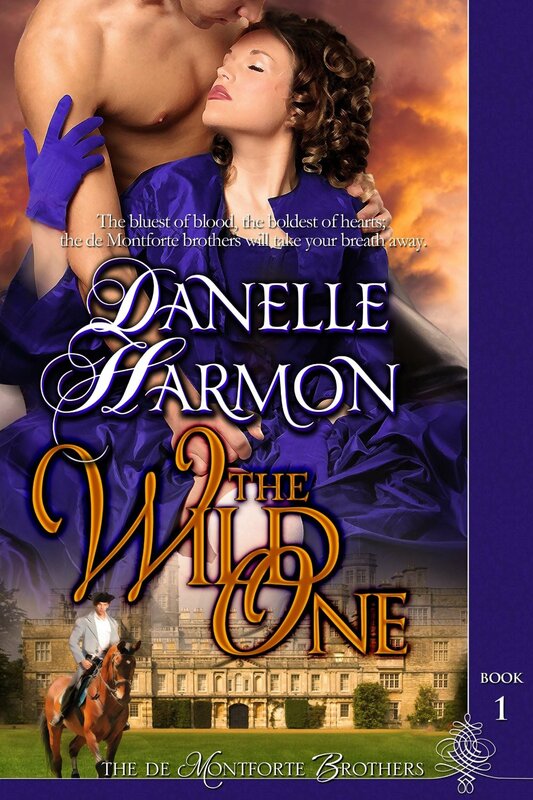 It’s few and fair between when you find a good, free book download, so I was pleasantly surprised with The Wild One by Danelle Harmon. Of course, I know after reading it now that I’m hooked for the next four books. This is Book One in a five book series. A great and less standard storyline. Not perfect hero and near perfect lady. Interesting plots and conflicts that I haven’t ran into before. Oh, and there’s a clever little twist at the end that makes me want to buy the next in the series: The Beloved One. The Defiant One. “The bluest of blood, the boldest of hearts; the de Montforte brothers will take your breath away.” England, 1776: Lord Gareth de Montforte is known as an irresponsible rake with a heart of gold. When he takes a bullet for boldly thwarting a stagecoach robbery, he is stunned to discover that the beautiful young woman he has heroically rescued, Juliet Paige, is his deceased brother’s American fiancée, accompanied by her infant daughter. Despite his brother the duke’s refusal to acknowledge Juliet, Gareth is determined to do right by the courageous woman who crossed an ocean to give her baby her rightful name. But Juliet is wary of marrying this black sheep aristocrat, even while she is hopelessly charmed by the dashing devil. Never has she met anyone who embraces life so thoroughly, who makes her laugh, who loves her so well. And, even when it seems the odds are against them, Juliet has absolute faith that Gareth will go beyond the call of duty, risking his life itself to give her and her daughter a home — and a love that will last a lifetime. Next Next post: eReader or Paper?